The 5th International Course on Tendon Transfers in Reconstructive Tetraplegia Hand Surgery was recently held in Nottwil, Switzerland. The purpose of this course was to provide hand surgeons state-of-the-art knowledge in tetraplegia hand surgery. Briefly, this course covered clinical examination, anatomy, biomechanics, surgical tec hniques, rehabilitation and outcome measurements in the field of surgical reconstruction of upper limb functions in persons with tetraplegia. Emphasis of this course was to equip surgeons with a science-based and reliable toolbox of procedures to reconstruct hand function in tetraplegia. 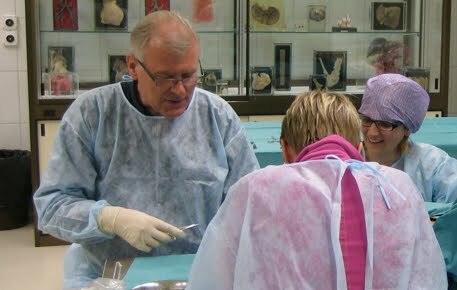 One full day was dedicated to practical training of the most important tendon transfer procedures and techniques for tendon-to-tendon attachments. The course, that was arranged under the patronage of the Federation of European Societies for Surgery of the Hand (FESSH), attracted hand surgeons from eight countries in three continents.